Pretty sure everyone keeps talking about the "no white after Labor Day" rule. But in my opinion, that rule is super outlived and times have changed. I feel like there are really no rules to fashion; your style is called personal style for a reason. You dress according to your rules and your liking and there isn't anyone that can tell you otherwise. If I throw something on and I'm digging it, I'm wearing it. I'd like to say my fashion has evolved overtime and yes as I grow older, my likes change but my beliefs don't so much. 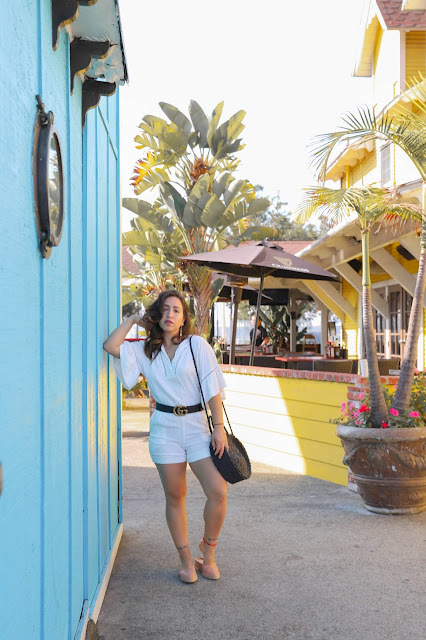 So here's a white outfit after Labor Day, me enjoying this Sunny weather, and not giving in to anyone's rules. Happy Friday! I always like to do lightweight and natural makeup. And when it comes about the point of anything formal, I like to choose Lina. Because she is really awesome in this line, she can turn regular faces attractive. She trains the make-up lesson London. I did my brother's wedding makeover from her first and after that, I never ever have to think from whom I should do my makeover. She is really caring and she takes really good care of her clients with a pure heart.